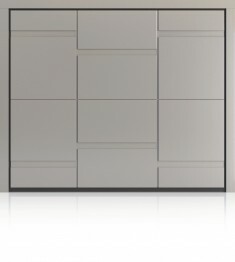 The Silvelox Frame Garage Door is one of the many totally unique garage doors from this great Italian Company. The simple rectangular pattern has been achieved by the different laying of the wood grain of the hardwood okume engineered board. 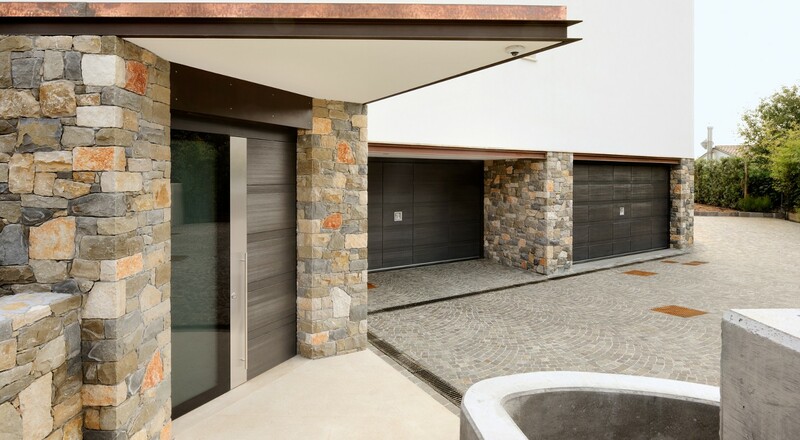 Silvelox garage doors are linked with flair and style. They have, for many years, held the rights on the simple but efficient lifting gear. It also needs no ceiling tracks. 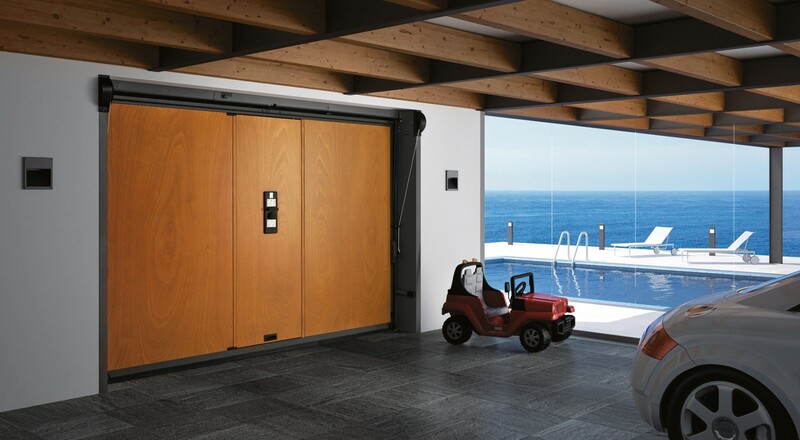 Under the beautifully designed and crafted outer engineered multi-layered okume hardwood board of the Silvelox Frame garage door is a galvanised steel frame. An inner, smooth finish board completes a door leaf which is 80mm thick. It also has a honeycomb core which gives sound and heat insulation. Importantly, this construction is very strong and stable, it does not warp or split as can other timber garage doors. The type of multi-layered hardwood board construction is widely used for nautical purposes. Hence, it is ideal for this use. The simple pulley and weight, lifting gear gives a smooth and easy manual operation. This is because the door leaf weight is balanced perfectly. Normally, the Silvelox Frame Garage Door protrudes slightly outside the garage when open. As an option the door can, with different gear, be kept back behind the opening. This is important if the door opens onto a pavement or if the garage opening is arched. 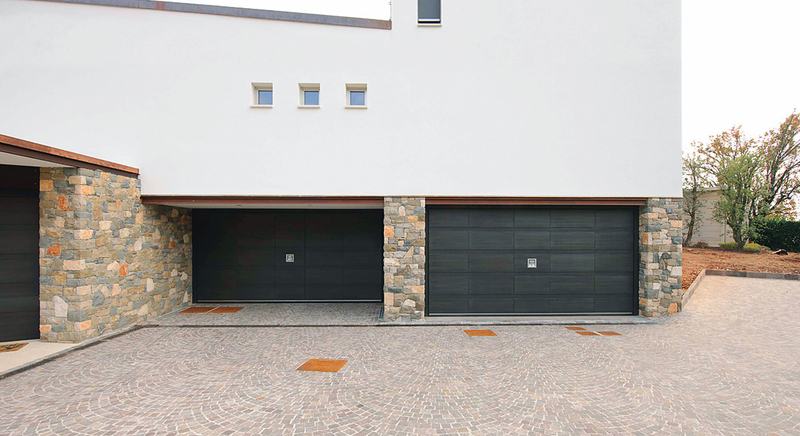 As standard, the Silvelox Frame garage door well exceeds the security levels of most other garage doors. 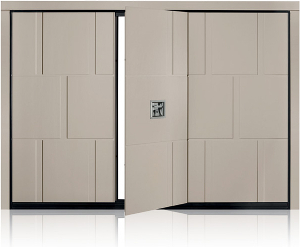 In addition, the door can be purchased with SecurPlus Classe 3 certified burglar resistance. This level of protection will stop entry by a burglar armed with such tools as large screwdrivers or even a crowbar. 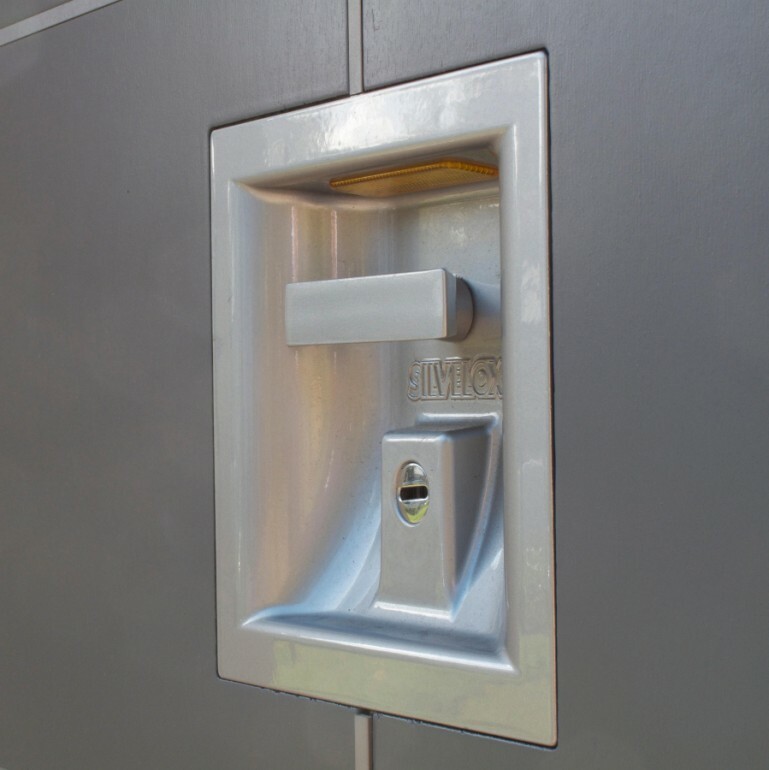 Silvelox use their own electric opener for the Silvelox Frame garage door. Hidden in the top rail, it requires no ugly tracks to open the door. Silvelox also have a matching Silvelox Frame front door. They can make matching building facia panels also and have a system called Concept W to do this. Lakes Garage Doors are proud to have been appointed distributors for Silvelox products. We were recently invited to the Silvelox factory in Italy and hence saw first hand the skill and dedication of all the staff and management there. In accordance with the recommendations in the Silvelox sale conditions and in the installation and owner’s manual.